Calling all Perry County history lovers and hipsters! 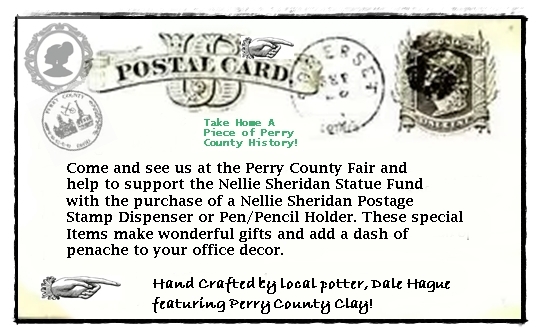 Before you “skiddoo” from the Perry County Fair, take the opportunity to visit the Perry County Historical and Cultural Arts Society’s booth to purchase a Nellie Sheridan themed postage stamp dispenser and pen/pencil holder. 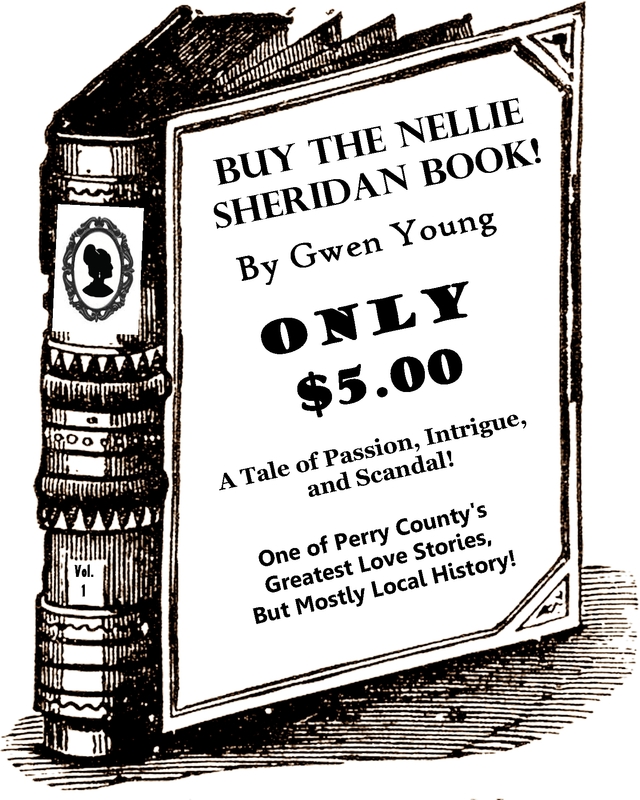 These charming Perry County themed items, or “doodads” as Nellie would have said in her day, are really the “bees knees.” Proceeds from the sale of these items will benefit the Nellie Sheridan Statue Fund.